Chelsea have reportedly made a crucial breakthrough in their search for a replacement for Antonio Conte, according to reports in Italy. After finishing fifth in the Premier League, there will undoubtedly have been plenty of disappointment for the Blues due to their failure to qualify for the Champions League next season. Even winning the FA Cup doesn’t seem to have saved Conte, as La Gazzetta dello Sport claim that an agreement has been reached between Chelsea and Maurizio Sarri for him to replace his compatriot, albeit they must still sort out his release clause before making it official. Nevertheless, the report ends by suggesting that ‘Sarri and his staff will prepare their suitcases’, which suggests that the famous pink paper are fairly confident that a deal will go through now. As noted by BBC Sport, question marks on Conte have been hanging over his head for some time as he fended off a grilling after the FA Cup success with doubts remaining. Despite lifting the Premier League title and then a domestic cup in his two seasons in charge, it seemingly might not be enough for him to come back for a third year and so it remains to be seen now if Chelsea continue to make progress in discussions to appoint Sarri. Should the former Napoli boss take the job, it could lead to quite the transformation at Stamford Bridge. 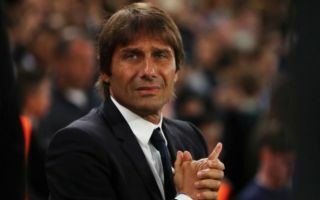 From the more pragmatic approach under Conte with an emphasis on defensive organisation, Sarri has displayed an entirely different type of football with the Partenopei as they have played an attractive brand of football with quick, sharp passing and intense high pressing to earn plaudits from Italy and beyond. That could be seen as a risk for Chelsea to make such a drastic change in approach through the manager, but it could certainly lead to some entertaining football in west London. Napoli of course have made their plans moving forward, with BBC Sport noting that they appointed Carlo Ancelotti as Sarri’s successor earlier this week.